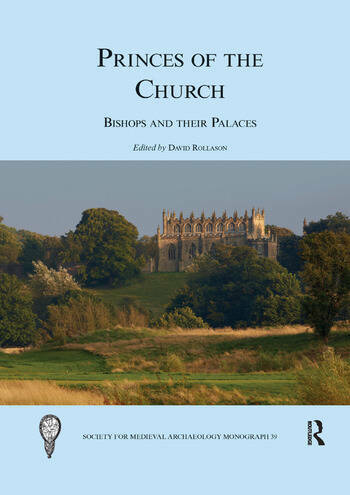 Princes of the Church brings together the latest research exploring the importance of bishops’ palaces for social and political history, landscape history, architectural history and archaeology. It is the first book-length study of such sites since Michael Thompson’s Medieval Bishops’ Houses (1998), and the first work ever to adopt such a wide-ranging approach to them in terms of themes and geographical and chronological range. Including contributions from the late Antique period through to the eighteenth and nineteenth centuries, it deals with bishops’ residences in England, Scotland, Wales, the Byzantine Empire, France, and Italy. It is structured in three sections: design and function, which considers how bishops’ palaces and houses differed from the palaces and houses of secular magnates, in their layout, design, furnishings, and functions; landscape and urban context, which considers the relationship between bishops’ palaces and houses and their political and cultural context, the landscapes and towns or cities in which they were set, and the parks, forests, and towns that were planned and designed around them; and architectural form, which considers the extent of shared features between bishops’ palaces and houses, and their relationship to the houses of other Church potentates and to the houses of secular magnates. David Rollason studied for his first degree at Balliol College, Oxford, where he sat at the feet particularly of J. M. Wallace-Hadrill, Peter Brown, and Henry Mayr-Harting; then for his PhD at the University of Birmingham, under the supervision of Wendy Davies and R. H. C. Davis, and – informally – of Philip Rahtz. After a year at the Coll?ge de France, supervised by Georges Duby, he was appointed lecturer in history at the University of Durham in 1977. He retired in 2010 and remains Emeritus Professor, his most recent publication being The Power of Place: Rulers and Their Palaces, Landscapes, Cities, and Holy Places (2016) – the outcome of his 2010-13 Leverhulme Trust Major Research Fellowship.